Sarita Orchard, Cromwell, Central Otago - Cherries, Preserves and Jams available to buy online. Finest quality cherries available to buy online. Corporate and residential fruit orders delivered nationwide. 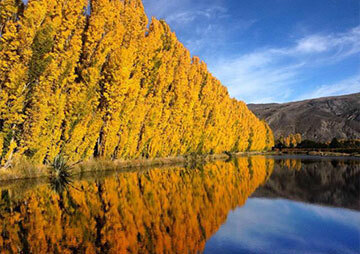 Sarita Orchard based in sunny Central Otago - famous for the production of premium summerfruit and wine. The orchard is located in the heart of New Zealand's cherry growing region five kilometres from Cromwell, close to the banks of the Kawarau River as it flows into Lake Dunstan. Sarita Orchard produces a wide variety of cherries for the Export and New Zealand markets via our online store. During picking season we employ seasonal workers with onsite accommodation available.